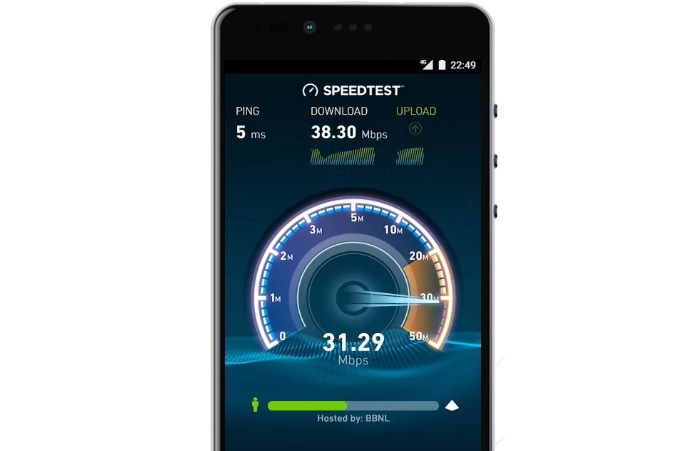 The latest smartphone ‘Mark 1’ from Bengaluru based company ‘Creo’ was launched last month (April 13th) and we found some interesting things and reviews about the Creo Mark 1 smartphone after a month including beta testing program. The company aimed to provide a budget smartphone for it’s customers at a price of Rs 19,999 and includes some different software features. But unfortunately ‘Mark 1’ has been found little short of being complete smartphone and one of areas being the camera needs to improve to prove itself unique from other budget range smartphones. ‘CREO’ is not a very old company and impresses us with it’s products in a short time but we wish that things could have been better. We feel annoyed and irritated most when we come close to something very good and re disappointed when result is not as expected. Hence, Creo falls just short of producing a complete package missing at just few but important points. However, the company making Mark 1 has previously produced only two products which were the Chromecast-likeTeewe dongle, and its successor, the Teewe 2. Hence, both those products showed promise but fell short of the established competition (Google’s Chromecast), Moreover, it looks like the same thing with Creo Mark 1 which launched at the “budget flagship” price of Rs. 20,000, and faces tough competition among smartphones at same price range. How do the Mark 1 looks? The looks for Creo Mark 1 are being compared similarly to Sony Xperia Z3 as it has similar rounded edges on an otherwise brick-like shape, and features round chrome buttons on the right but the negative point is this phone misses on waterproofing and dust proofing. 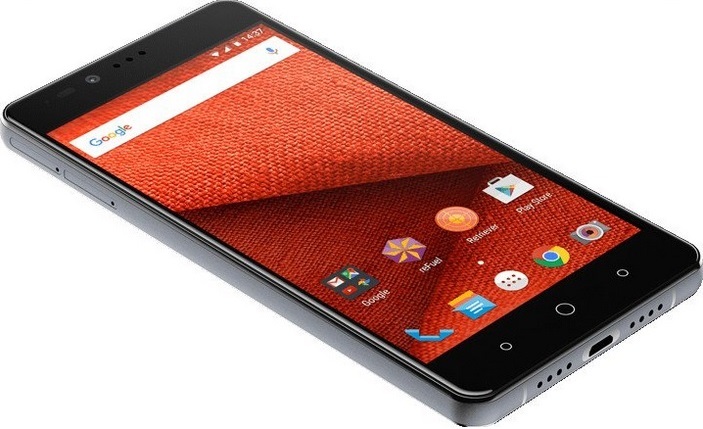 The Good Things about ‘Mark 1’ and where does the budget phone misses out? The phones getting thinner are not so comfortable to hold but the ‘Mark1’ with a 5.5-inch display is quite wide with thick borders at sides. The phone looks closer to a phablet in size which may not attract all the audience. Otherwise, the design looks familiar with a glossy front slab including three capacitive buttons near the bottom. Moreover, we have the option to customize the functions of the button in the settings app which is why they don’t have specific icons – all three are just plain circles. Apart from the volume button and circular power buttons on the right, there is a front camera near the top. The left side is plain with two trays near the top – the first for a Nano-SIM or microSD card, and the second for a Micro-SIM. Interestingly, we have an option for having our name on the device as there is a space lower down on the left where you can have up to 40 characters of text (such as your name or any message) engraved while buying the device. There is a Micro-USB charging port at the bottom and a 3.5mm audio socket is on top. You have the primary camera and flash in the top left corner of the rear, with a minimal and sleek Creo logo near the middle. The phone looks good and has a sense of style well put-together. Moreover, there is no sharp seams or edges and no parts that don’t feel fitted slickly. The glass front and back collect fingerprints make the phone feel really good to hold and help sell the idea that it’s a premium device. 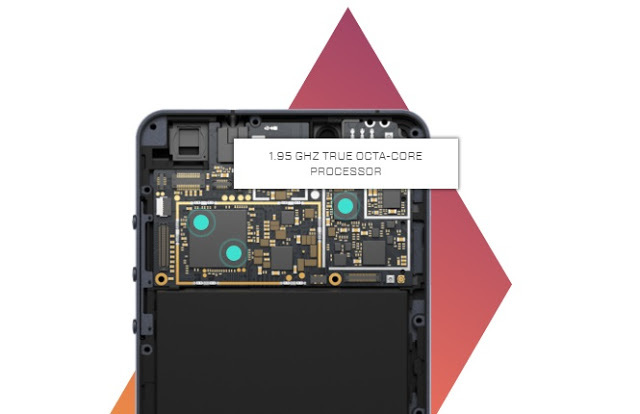 • Under the hood, The Mark 1 packs a 1.95GHz octa-core MediaTek Helio X10 SoC, along with 3GB of RAM. • 32GB of storage that can be expanded by up to 128GB if you’re willing to forego the second SIM. 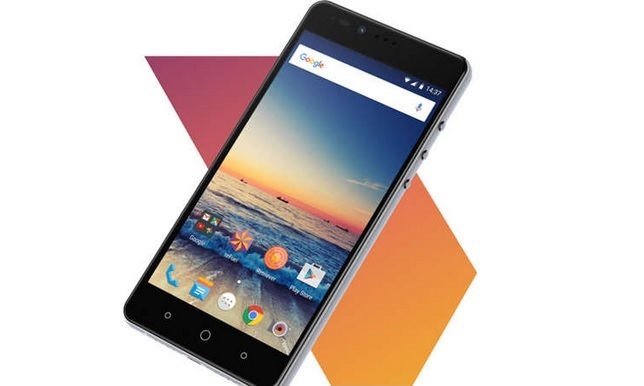 • The phone has a 21-megapixel rear camera and an 8-megapixel front camera. • It’s powered by a 3100mAh battery. • There is a full-fledged local search function ‘Sense’ that lets you find anything in your phone, whether it’s a setting buried deep inside a menu, or a file you’ve downloaded and forgotten about. • The last major feature is Echo, a built-in answering machine which stores messages locally so it works even without an Internet connection. The camera is fine and one good area where the Creo Mark 1 is definitely better on paper than it is in real life. The front camera is fine, with no issues, however, the 21-megapixel rear camera was found to work much better outdoors in the daylight than in low-light conditions. In lower light, photos become even worse, which is less than ideal considering that a lot of people do take photos indoors with friends. The panorama mode and 3D photos are easy to take, but the results were less appealing in both cases. It has a number of modes such as 3D photos, slow-motion and panorama. The camera has the feature to lock focus and take pictures with speed. Zoom in by clicking on the image, and the picture appears grainy. However, Mark 1 cannot be called a perfect choice for people buying a phone with a camera as the main criteria. • The battery lasted just under 6 hours in our standard video loop test, which isn’t great either. You’ll want to keep the charger with you at all times and fit in a short charge at some point during the day if you want to go out at night. • The QHD screen is also a problem which also really hurts the battery life on several flagship phones. • The phone also heats up a lot while charging – there’s a quick charger, and plugging it in for an hour means you’re almost entirely topped up but this is one problem we have found with other android devices as well. • Unfortunately, the Creo Mark 1 cannot be used for VR for now. There seems to be some issue with its gyroscope, at least when used with a Google Cardboard headset. • Similarly, while Sense is really great for quickly launching an app or finding a contact or file, you type commands like “send a message to ” or “set an alarm for “, which makes it a bit less useful than Google Now and more like iOS’s Spotlight feature. It’s a great idea in theory, but if you’re buying a phone, you’re buying it for what it is right now, with everything that comes down the line being a bonus. With those expectations in mind, the software – while quite appealing and promising – suffers. Should you buy the ‘Mark 1’? Well, the question as to whether we should go for Mark 1 or not seems interesting and the answer could be ‘no’ if one is looking for Flagship features in a phone while on another hand, Mark 1 is a good choice if you’re looking for a mostly hassle-free phone that comes with some cool bells and whistles now and expect the phone to become better with timely updates, then the Creo Mark 1 might prove to be quite interesting. As per the review, the main selling point for Mark 1 seems to be the software and not hardware as software customizations are thoughtful without detracting from the core Android experience. 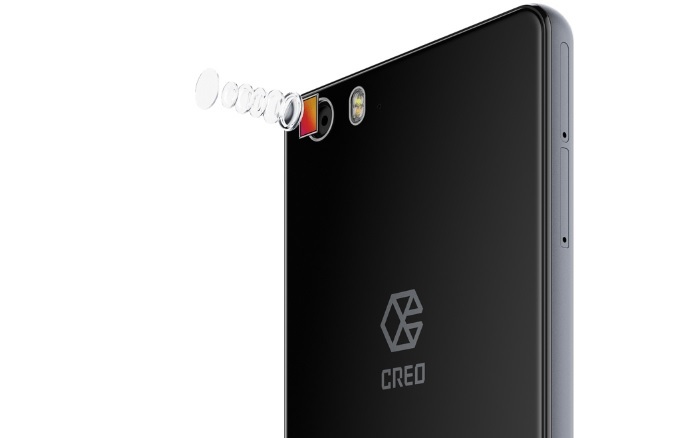 The Creo team plans to make the phone a lot better as time passes, but as of the date it’s too soon to say whether that vision will work out or not. The team is promising monthly updates and it has already rolled out improvements to features like the camera and battery life through the course of our test period, so it’s clear that Creo is taking its vision seriously for now. The Creo team has made it very clear that there’s a roadmap of updates and changes planned that should help address or at least alleviate the concerns we’re raising.